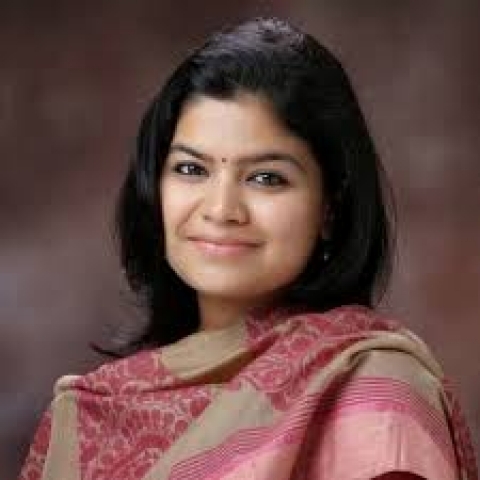 GUWAHATI, May 4: In a two-day visit, the Bharatiya Janata Juva Morcha (BJYM) national president Poonam Mahajan has arrived in Guwahati on Friday. The BJYM president is scheduled to attend the Yuva Prabha, ‘Lakhshya-2019’ to be organized at Shrimanta Shankardeva Kalakshetra on Saturday.Along with her, numbers of ministers and senior party workers will attend the scheduled program. On her arrival at the LGBI airport on the evening hour, the BJYM state president Anup Barman who was accompanied by hundreds of Morcha members greeted the dignitary and straightway escorted to the state BJP’s party head office at Hengrabari. In an important meeting prearranged at Hengrabari, Mohajan ignited the young brigade of the party and urged them to reach to the doorstep of the people keeping in mind the ensuing general election.